By Audrey Golden. May 20, 2017. 9:00 AM. In 1940, Arthur Koestler’s novel Darkness at Noon appeared in English. 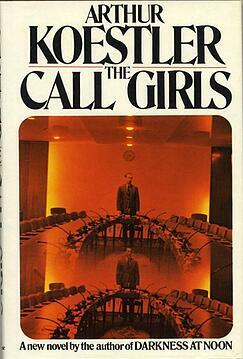 While Koestler, a Hungarian-born author and journalist who later immigrated to Britain, wrote in German early on, he later began writing and publishing in English. The novel has an interesting backstory to it. 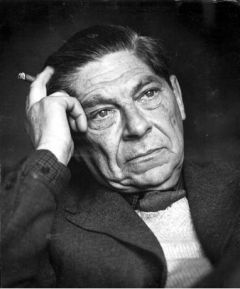 Koestler wrote the novel in German (indeed, the last novel that he wrote in German), yet for decades, readers, scholars, and other interested parties had only known the novel in its English translation. While attempting to escape to the U.K. during the early years of World War II, Koestler convinced his lover, Daphne Hardy, to translate the novel into English. Everyone assumed that the original German-language version of the novel had been lost, and the English translation became the first edition of the text for all intents and purposes. However, in 2015, a researcher in Switzerland discovered an original German-language version of the novel, reopening the background to Koestler’s famous twentieth-century work and to numerous political issues surrounding translation, wartime violence, and totalitarianism. While Koestler's Darkness at Noon was read extremely widely after its publication in England and in the United States, the novel largely has fallen out of favor due to its political use by Cold Warriors who cited the text in opposition to the practices of the Soviet Union. Since the novel is not read as widely as it once was, let us give you a brief plot summary. The novel depicts Rubashov, a man who once was an official within the Soviet government, who was later arrested, tortured, and executed for his alleged defiance against the state. The novel reflected on very real political events—the Stalinist show trials, also known as the “Moscow Trials,” that occurred between 1936 and 1938. In particular, the character of Rubashov replicated, in some respects, the fate of Nikolai Bukharin, the former head of Communist International who was executed in 1938. Darkness at Noon was an obvious critique of Stalinist totalitarianism and the capacity of the state to control not only the actions of the people within it, but also their internal thoughts and dialogue. As Hannah Arendt suggested in The Origins of Totalitarianism, the mark of a totalitarian state is not its ability to induce fear such that the physical movements or actions of all within the state conform to the government’s prescribed conduct. Rather, the totalitarian government has achieved its aims once it has quelled not only the physical capacity for resistance, but the mental or intellectual capacity as well. Have We Been Reading the Novel Incorrectly All This Time? We’re very interested in obtaining an original German-language copy of Darkness at Noon to observe the translation issues on our own. For those who can’t read German, we’ll have to wait for a new translation of the text based on the recently discovered copy. Given the excitement surrounding the researcher’s find in Zurich, a new translation shouldn’t be too far away.